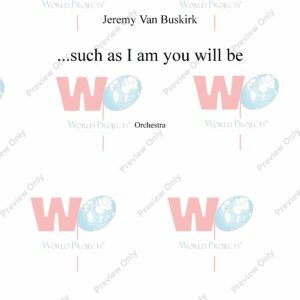 Composer Jeremy Van Buskirk (b. 1973) is a native of Lockport, New York. His early musical training began with piano and saxophone. His musical life changed forever at age 12 when he picked up a bass guitar and discovered his passion for writing and improvising music. Jeremy’s music has been performed by ensembles and organizations such as SEAMUS, ICMC, Alea III, Longy Chamber Orchestra, Lorelei Ensemble, saxophonist Ken Radnofsky, The Fourth Wall Ensemble, Redline Brass Quintet, Vento Chiaro, Longitude, Aurora Borealis Festival, The Rivers School Conservatory Annual Seminar on Contemporary Music of the Young, Electronic Music Midwest, Santa Fe International Festival of Electroacoustic Music, 60×60, and Soundcrawl Nashville. Recordings of his electroacoustic music have been released by SEAMUS, Ablaze Records, and Tell-Tale Music Media. 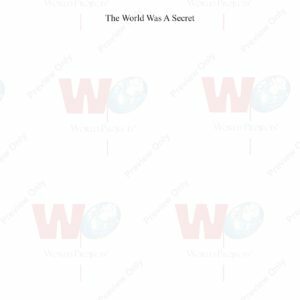 His music is also published by World Projects Corporation. Jeremy has a passion for electroacoustic music pedagogy. To this end, he has developed several software programs designed to teach electroacoustic music composition. The Max Composition Environment (MAXCE) is designed to aid composers learning to write pieces using the MAX/MSP programming language. He also created a straightforward ear training program entitled EarDrills, and a series of programs designed to teach beginning electroacoustic music composers entitled Tools of Electroacoustic Composition. Since 2001, Jeremy has been on faculty at the Longy School of Music of Bard College where he is Director of the Longy Computer Music Studio. During this time, he started a yearly concert series at Longy entitled Wired for Sound. Wired for Sound brings new electroacoustic music from around the world to the Longy community. B.M., Berklee College of Music; M.M. (Composition), M.M. (Modern American Music), Longy School of Music. D.M.A. (Composition), Boston University. Principal teachers: Lukas Foss, Richard Cornell, Joshua Fineberg, John Fitz Rogers, and Paul Brust.